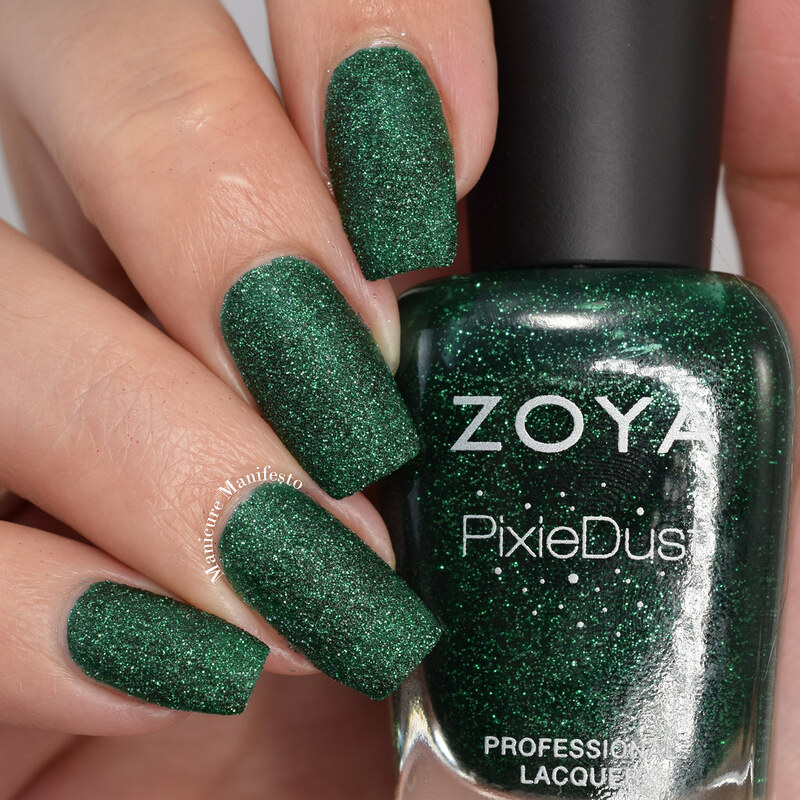 Today I have this year's holiday collection from Zoya to share with you. 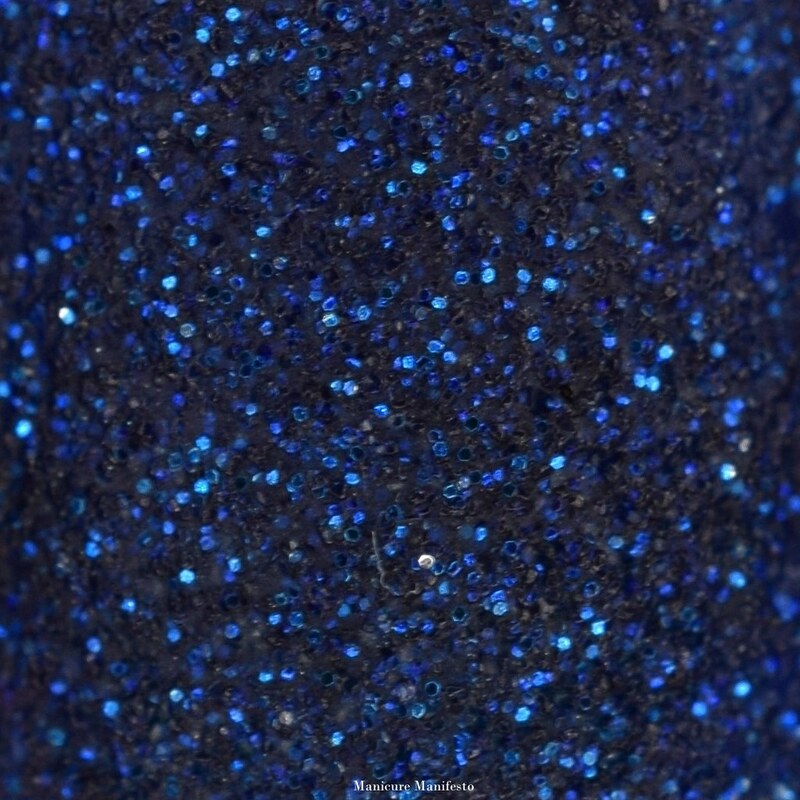 The Enchanted collection features two shimmers and four textured PixieDust shades. 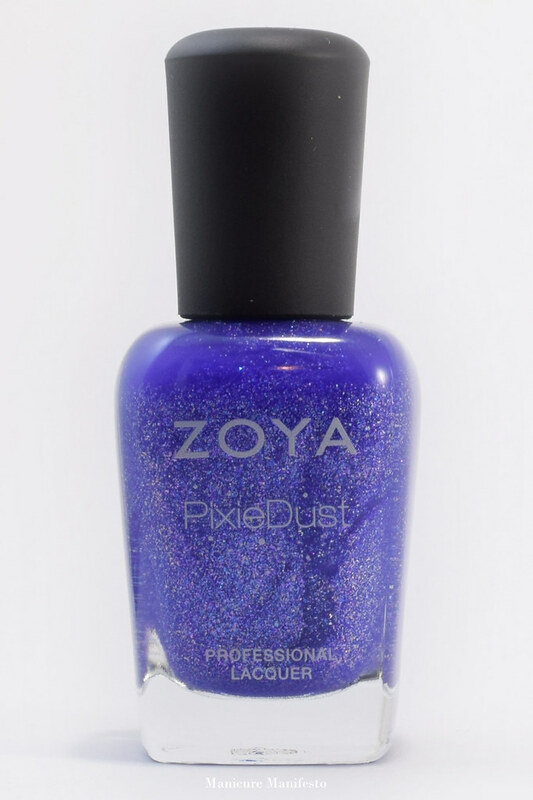 I love the crystallized look of the PixieDust finish so I'm glad to see them in this collection. Let's take a look at swatches. 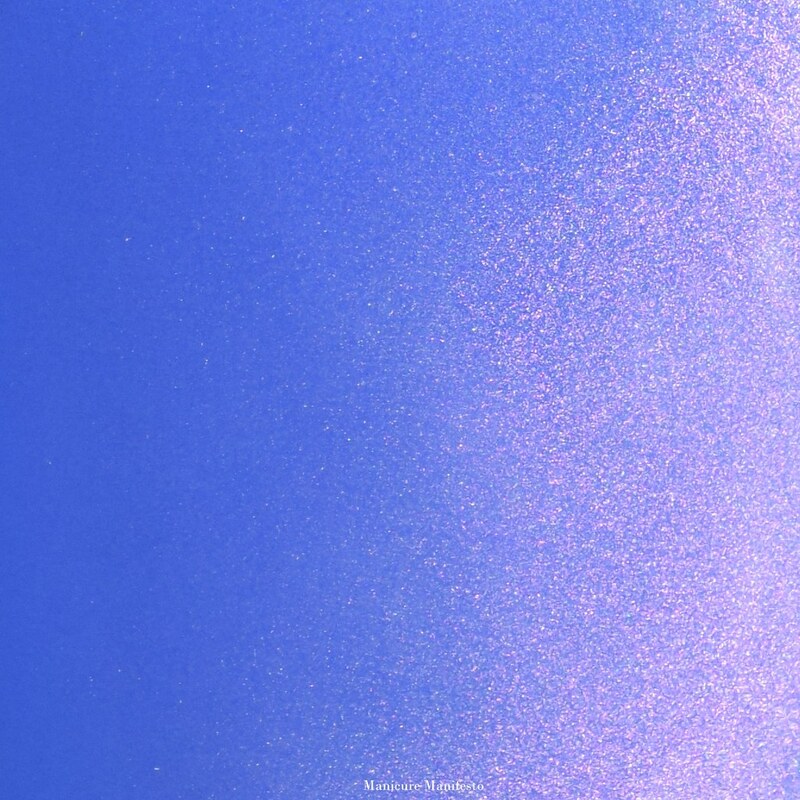 Saint features a periwinkle blue base with a strong pink shimmer. The formula was easy to apply though somewhat sheer. It took three coats to become mostly opaque. 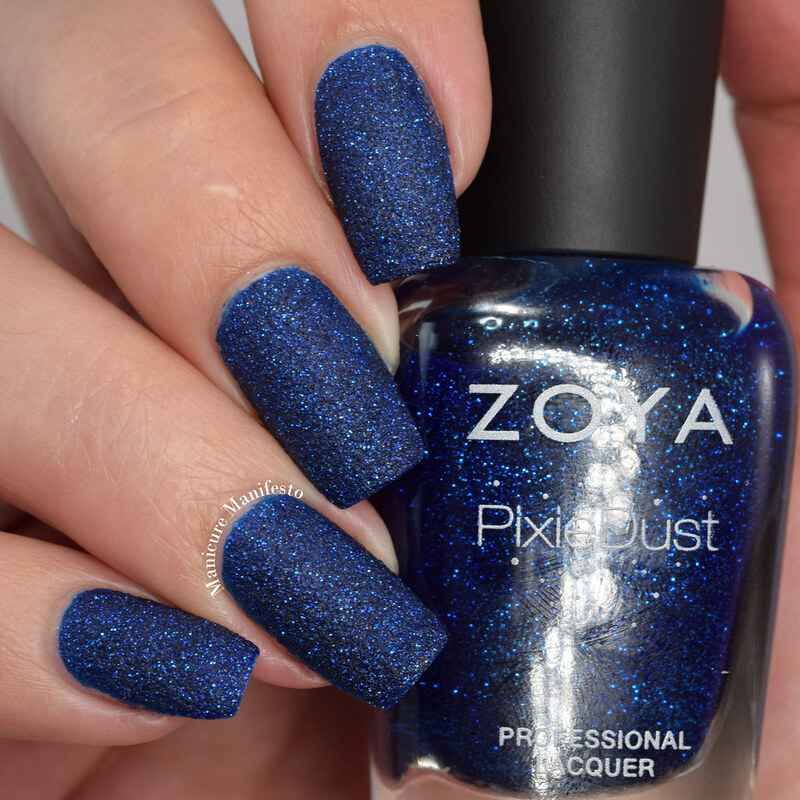 Photos show three coats of Saint with one coat of Zoya Armor top coat in daylight spectrum lighting. 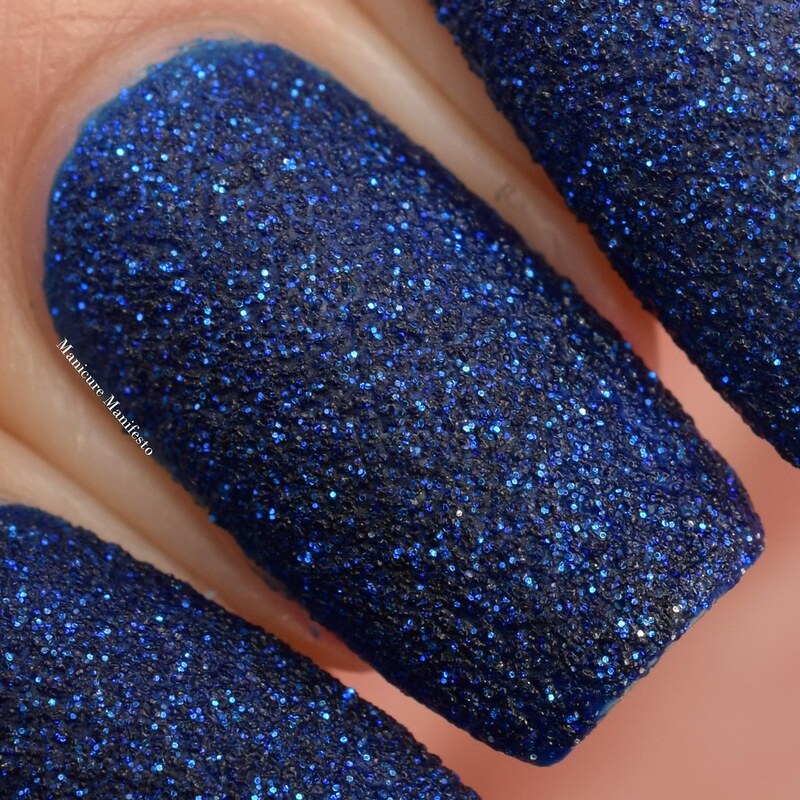 Waverly features a navy textured base with tiny cobalt glitters. The formula was easy to work with and took two coats to become opaque. I just make sure I wait for the first coat to dry down a bit (basically I wait until it no longer looks shiny and smooth) before applying the second to avoid any potential dragging. Photos show two coats of Waverly in daylight spectrum lighting. 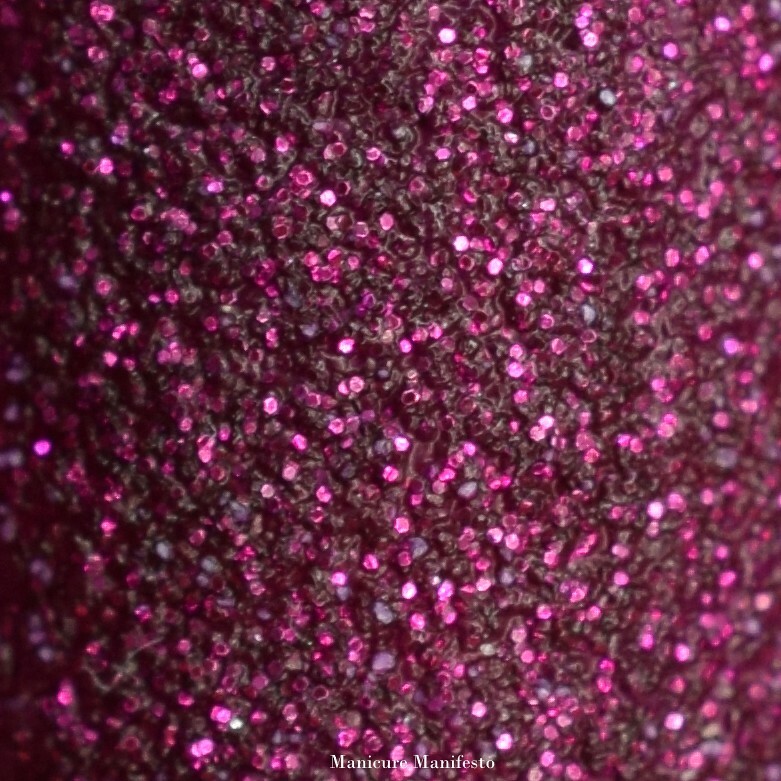 Lorna features a textured berry purple base with tiny fuchsia glitters. The formula is the same easy formula as Waverly and took two coats to become opaque. 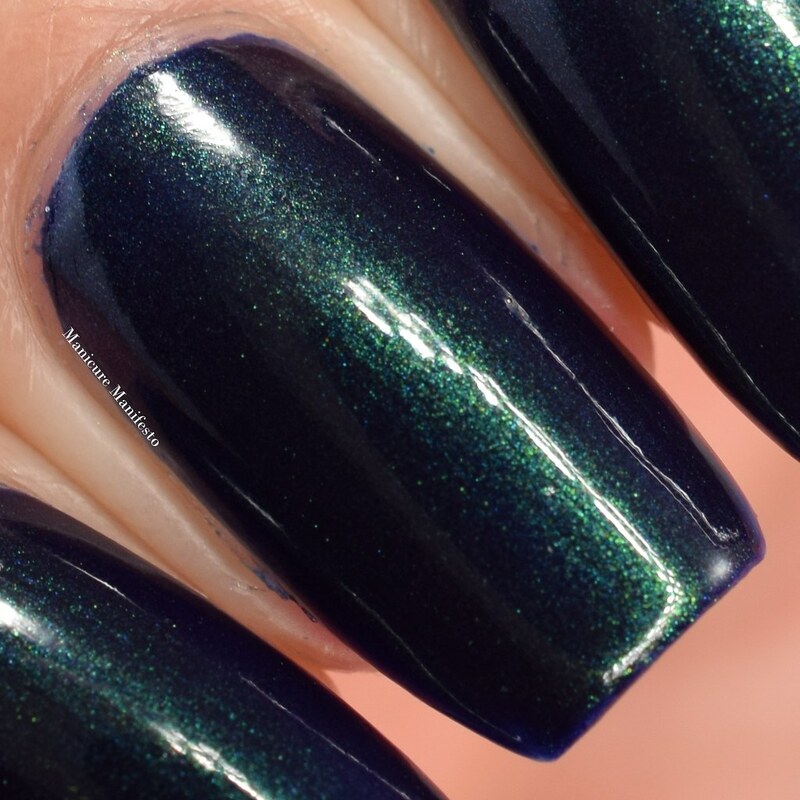 Photos show two coats of Lorna in daylight spectrum lighting. 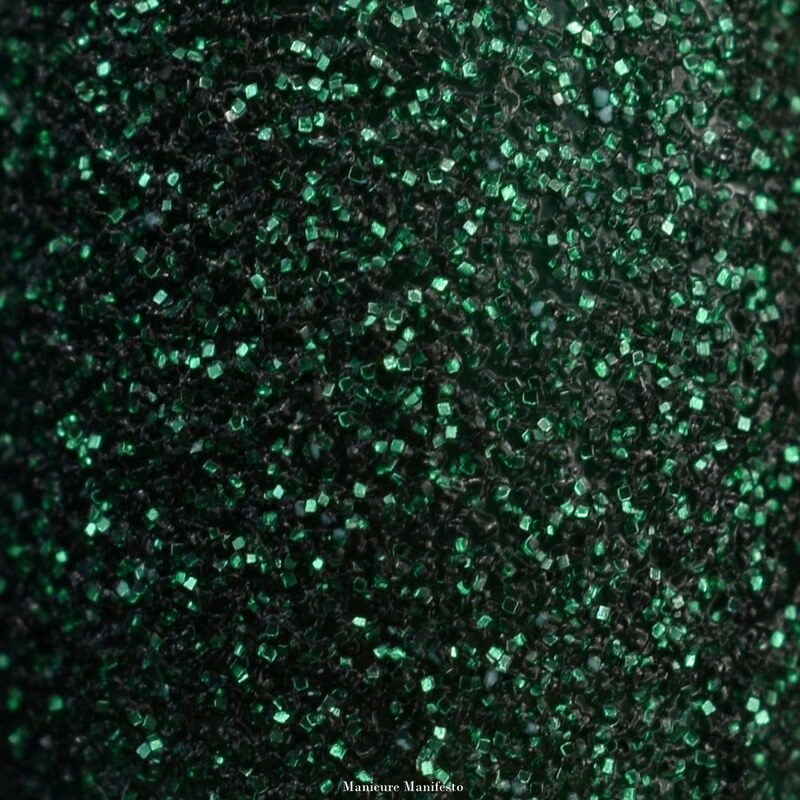 Elphie features an evergreen textured base with small brighter green glitters. 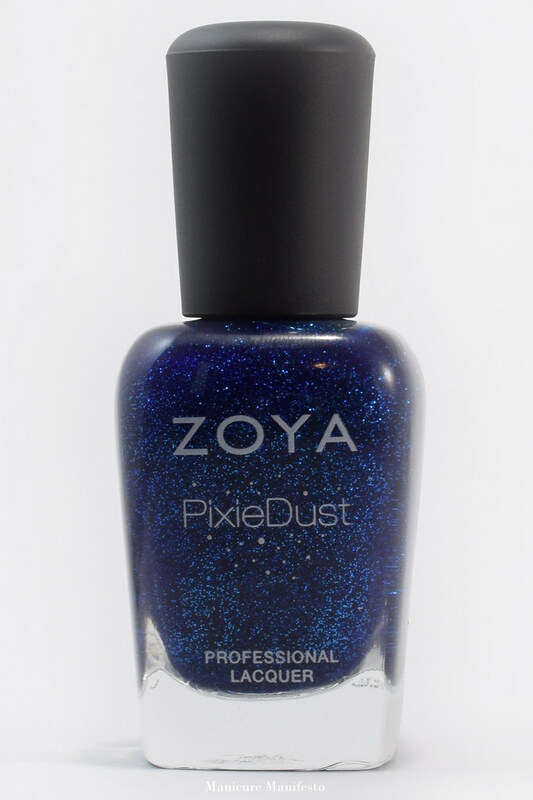 The formula was the same as the other PixieDusts in this collection, taking two coats to become opaque. 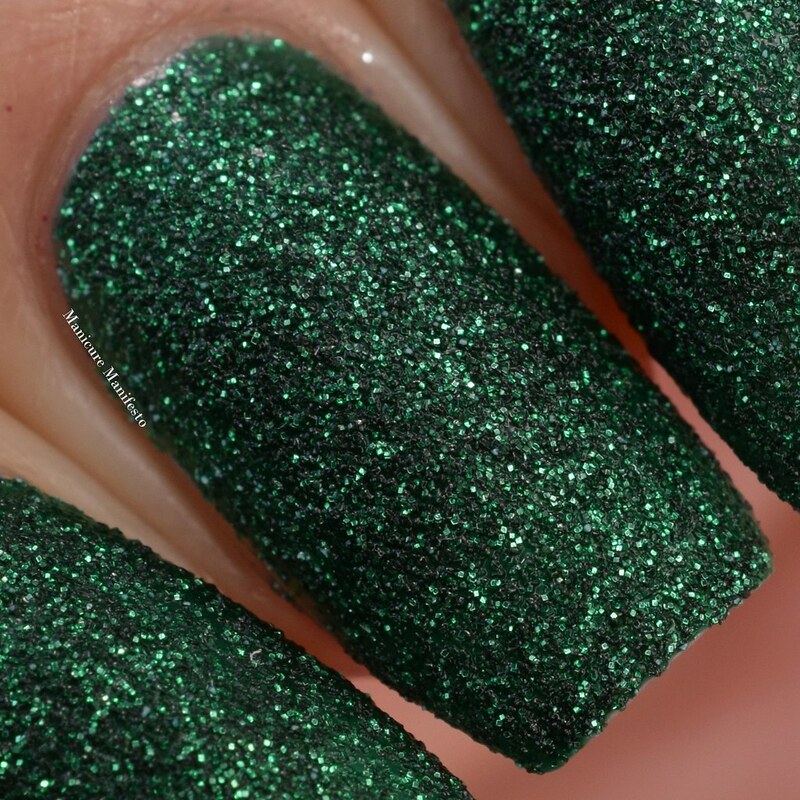 Photos show two coats of Elphie in daylight spectrum lighting. 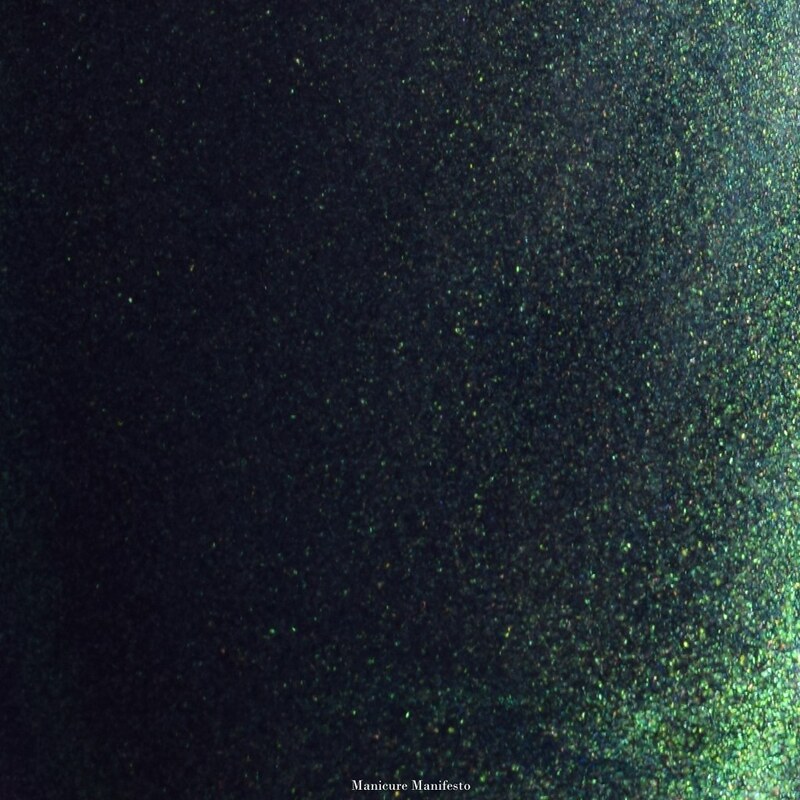 Olivera features a navy jelly base packed with green shimmer. The shimmer is so strong that this polish looks predominantly green with subtle shifts to navy in shaded lighting. 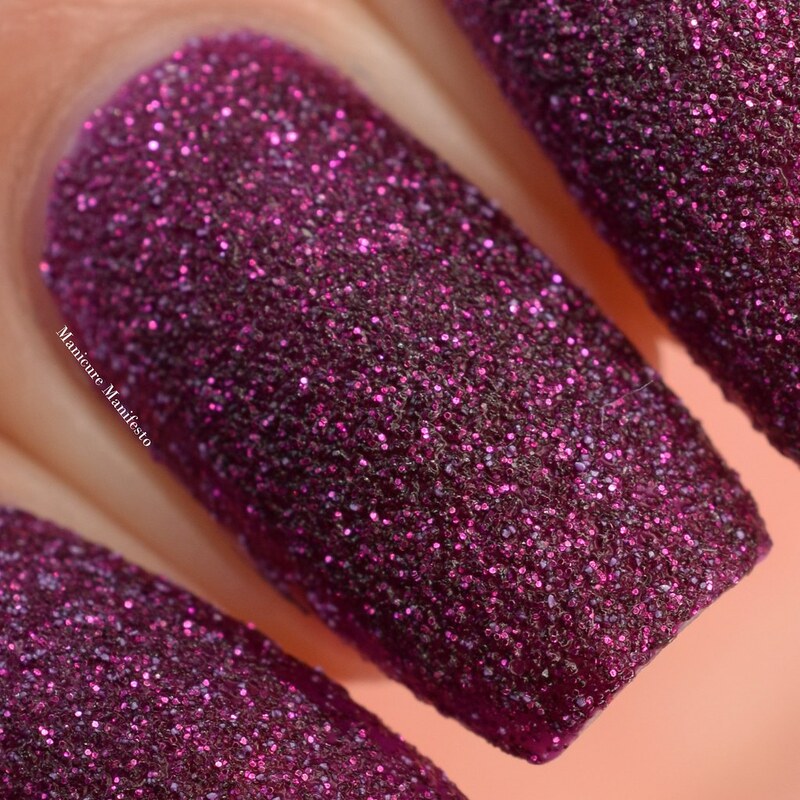 Though there are hints of purple in the bottle, that shift wasn't visible on the nail. The formula was very easy to work with and was quite pigmented. It was almost a one coater, but I added a second just to be safe. I think this would make a great stamping polish too. 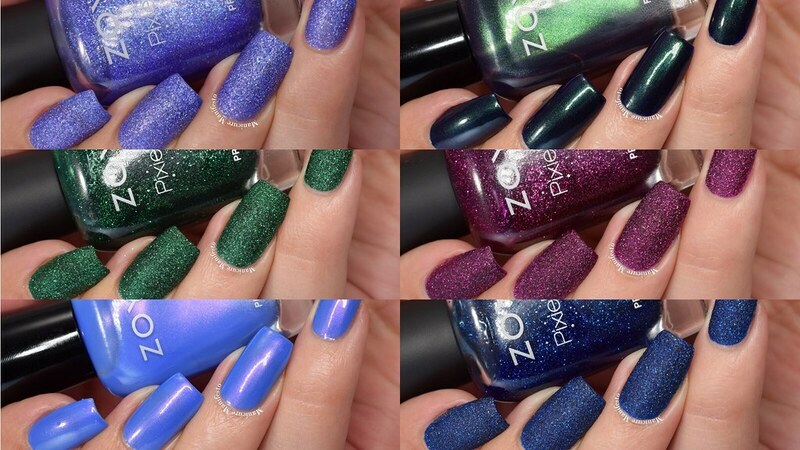 Photos show two coats of Olivera with one coat of Zoya Armor top coat in daylight spectrum lighting. 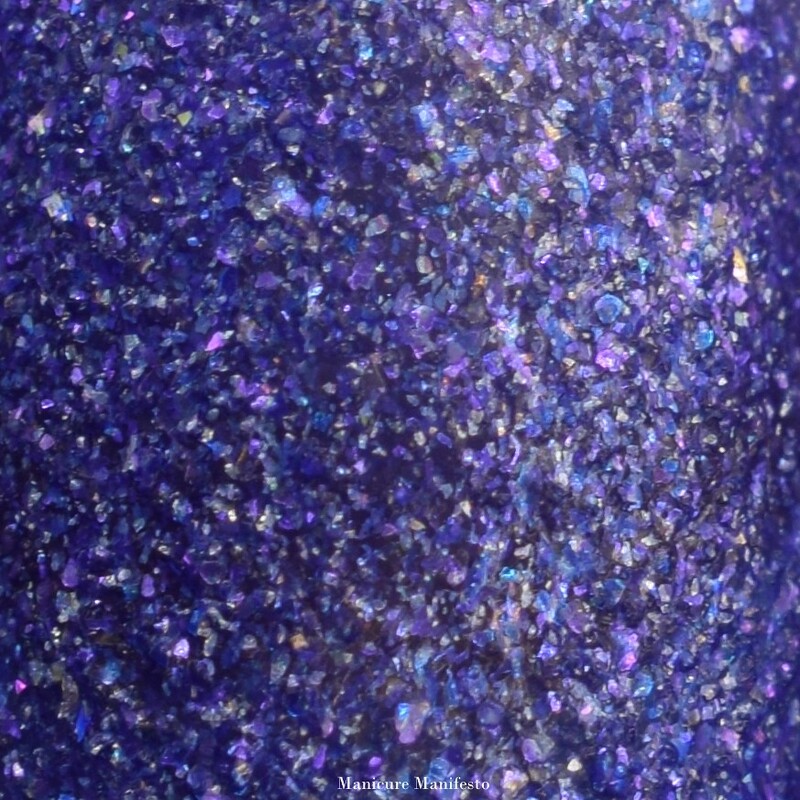 Alice features a textured periwinkle base with translucent blue and violet flecks. 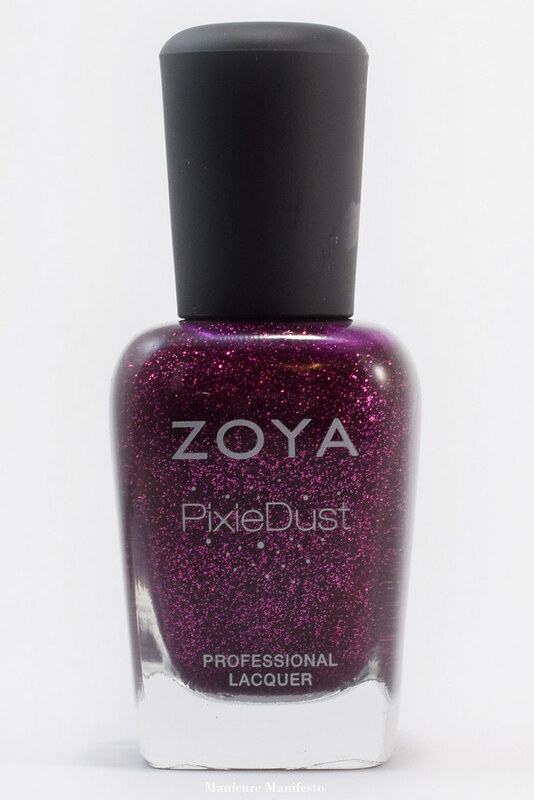 The formula was the same as the rest of the PixieDusts in the collection and took two coats to become opaque. However, the finish felt a tad softer that the others - perhaps because of the flecks vs glitter content. 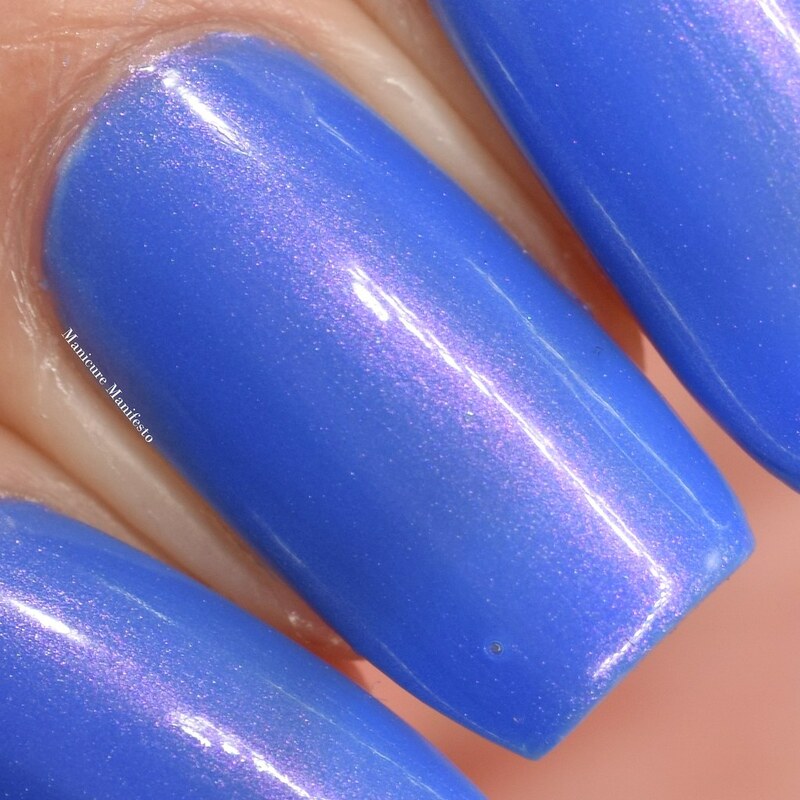 Photos show two coats of Alice in daylight spectrum lighting.